Think of South Florida and what springs to mind are sandy beaches, sultry nightlife, and everyone’ s favorite: traffic. Having developed in the age of the automobile, South Florida’s three counties are separated by vast amounts of land and clogged highways, limiting regional connectivity to car travel which is often tedious. But that is all set to change as South Florida’s three urban centers are now connected by the Brightline, a privately-owned rail system that runs from Miami north to Fort Lauderdale and West Palm Beach, finally unlocking the regional corridor for visitors and locals alike. Brightline gets from Downtown Miami to Fort Lauderdale in a brisk 35 minutes and to West Palm Beach in just over an hour. 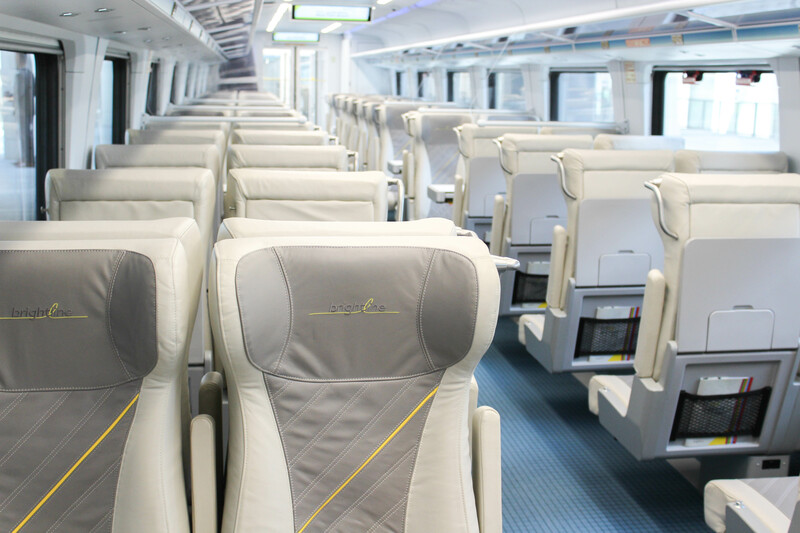 With countless entertainment and dining attractions within walking distance of each station, deciding to what do can be tough, so we’ve put together a list of the best that “a day on Brightline” has to offer in each city. What you’ll find: From sprawling Bayfront Park to open-air shopping at Brickell City Centre, Downtown Miami is a high-energy, urban paradise offering the finest restaurants, nightlife, entertainment and a skyline that rivals some of the best in the world. Where to eat: No fewer than seven new food halls are changing the way Miamians dine-out. Make your way to La Centrale and Casa Tua Cocina for Italian food straight from the source; meander through the Asian night market 1-800-Lucky; or opt for something on the heathier side at Jackson Hall and St. Roch Market. If dining al fresco is more your speed, the Wynwood Yard and the seafood-inspired The Wharf on the Miami River are open year-round. Not to be missed: Centered around Museum Park is Pérez Art Museum Miami—home to an extensive largest collection of contemporary Cuban and Latin American art— and the new $350 million Frost Museum of Science. 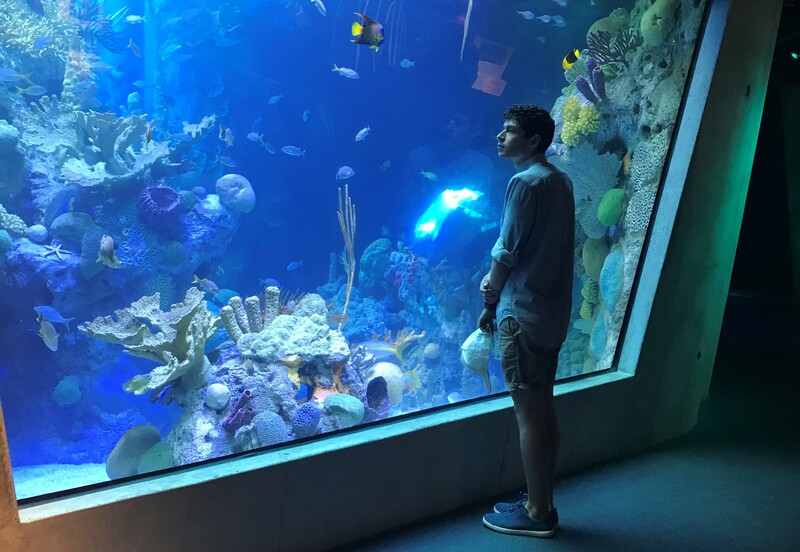 Far from your average science museum, Frost’s signature attractions include a 500,000-gallon aquarium, floating science lab and planetarium. Getting around: Getting around Downtown Miami has never been easier. The city’s ten trolley routes and Metrorail service will take you wherever you need to go free of charge. What you’ll find: South Florida’s best beaches and the International Boat Show have defined Fort Lauderdale for decades, but with each new luxury condo, chef-driven restaurant, and hotel opening, the city is becoming ever more cosmopolitan. 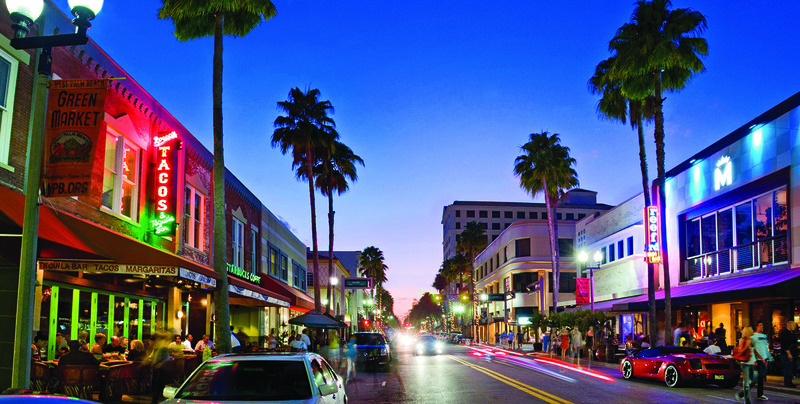 Where to eat: Las Olas Boulevard has undergone a major transformation in recent years from being a collection of tourist shops and boutiques to the beating heart of Fort Lauderdale’s culinary scene. Staples Louie Bossi, Grille 401 and Rocco’s Tacos are crowd pleasers for visitors and locals a like, while newcomers such as El Camino and Red Door Asian Bistro are shaking things up. Not to be missed: Step back in time at the Museum of Discovery & Science with permanent exhibits that include a dinosaur boneyard; three different cockpit simulators; and a storm center where you can feel the rush of hurricane force winds. Getting around: Broward B-Cycle allows you to rent bicycles from 27 stations throughout the city, or hop aboard the Sun Trolley for a fun, affordable and convenient way to get around town. Clematis at Night. 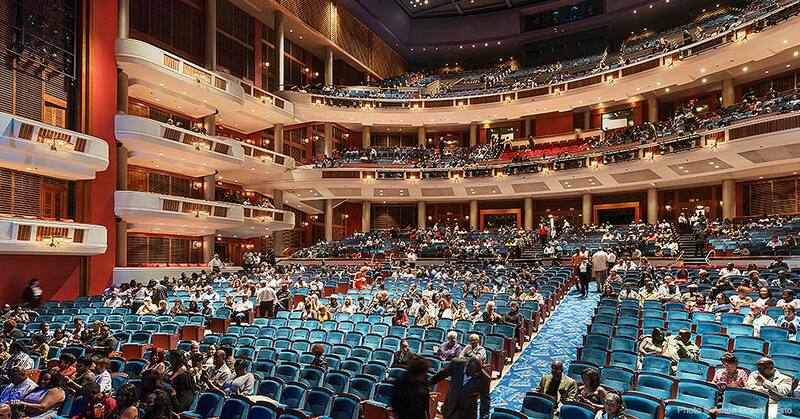 Photo courtesy of Discover the Palm Beaches. What you’ll find: Colorful Clematis Street and chic social clubs like The Breakers have drawn generations of well-heeled travelers, honeymooners, professionals and mother-daughter duos to West Palm for rest, relaxation, and a taste of the good life. Where to eat: Meet award-winning chefs, taste tropical fruits, and experience the city through its local cuisine with West Palm Beach Food Tours. Offering tastings at locally-owned restaurants, cooking classes, and tours of Grandview Public Market, the entirety of West Palm epicurean playground is at your fingertips. If you’re short on time, head to CityPlace, located a block from the Brightline station. Not to be missed: As close to Versailles as you’ll find in South Florida, the Henry Morrison Flagler Museum is a 73-room, 100,000 square foot mansion that once served as the winter retreat of one of the region’s most famous families. Just down the road, e Society of the Four Arts offers sculpture and botanical gardens that pay tribute to South Florida’s diverse landscape. Getting around The Downtown Trolley makes getting around the Clematis and City Place Districts a breeze—and did we mention it’s free? Pickups happen every 10 minutes at designated trolley stops.